Everybody loves drones... men, women & children! What Is A Drone? How does it fly? What Type of Drone Do You Need? For purposes of this discussion, we will assume that you are a complete newbie to the subject of drones. You probably first heard about them in the news. For years now, the U.S. has used military drones (unbelievably complex and expensive computer-guided drones) which can carry missiles and drop them right in the laps of targeted terrorist cells. So yes, drones do have serious governmental and military uses, or a "dark side". But... we're not going there with this article on gadget drones. Here we will discuss only the fun side of drones... hobby drones... so join us! It’s an awesome time to link up with a thriving UAV community! UAV= Unmanned Aerial Vehicles (UAVs); the fancy term for drones. FPV= First Person View or "video piloting". 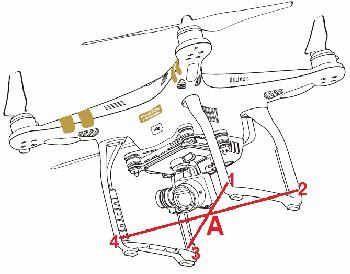 This means you control the drone from the ground while viewing what the drone camera sees. You kind of feel like you are actually up there in the drone, looking down... a virtual reality type of experience. We are recommending only FPV piloting for the drone hobbyist. RTF= Ready To Fly. This is a drone which requires very little or no assembly, and is ready to fly right from the box (once the battery is charged up). We only recommend RTF drones for the beginner or casual hobbyist (that's you). You may have seen a hobby drone in action, piloted by a friend, neighbor or relative. That's how we got exposed to this exciting new hobby. My nephew Ranji came for a family gathering not too long ago, and brought his drone setup. Everyone at the reunion was totally enthralled and fascinated by this. He sent his drone up in the air, and we were able to watch on his monitor exactly what the drone was seeing, from about 150 feet up in the air. Too cool! We were hooked, and are anticipating delivery of our very first hobby drone in a couple of months (my brother is bringing us one). We plan to do a box-opening video when it arrives, and serial vids of us learning the ropes. So you may want to bookmark this page, and check back later to see how we did. 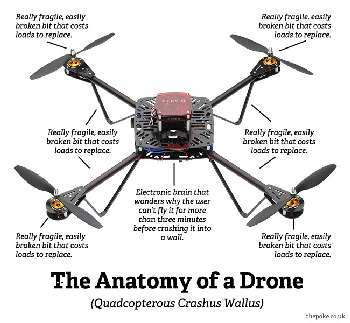 Oops, got a little sidetracked there, let's get back to "What is a Drone?" Simply put, an RC drone is an Unmanned Aerial Vehicle (UAV) which navigates by electronic signals delivered to it via Remote Control. We also include one important component in almost all of the drones we recommend, and that is a drone-mounted camera. Why? Why would you even want a drone without one? Only a child's toy drone might be useful without a camera. Now then, we've narrowed things down for you a little bit. A hobby drone to us is a UAV which we direct with an RC (remote controller), and which carries a camera which transmits aerial images to us on the ground. Think of your drone as a "flying robot" with a camera attached. But how is a drone constructed, and how does it fly? The drones we recommend for hobby flying are called quadcopters. They are small, made of lightweight plastic or metal alloy, and moved about like a mini helicopter by 4-6 little propellers. Power is supplied to the propellers by tiny electric motors and an onboard battery. It also carries a gyroscope or accelerometer which controls positioning and balance. Oh yes... don't forget the camera. Pretty amazing that these little gadgets can hold all that hardware and still fly! So now you have a little better idea what comes together to make a drone. And if you're still with us, you have probably decided you want one, too! So you found out above that we are newbies in the drone game, just like you. So why should you heed our advice, or take our recommendations seriously? Because, we are in the same beginner mindset you are. We didn't know much before we got started. 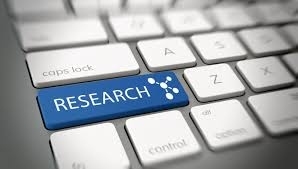 But since then we have thoroughly investigated the topic of hobby drones, and spent literally months reading every current article, buyer's guide, technical article and online video we could find. We also spent a lot of time picking the brain of my nephew, who is quite an accomplished "dronophile". We compiled all this info, then boiled it down into a simple, easy-to-understand guide... just for you. 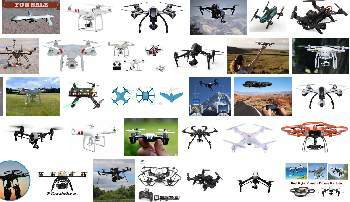 As far as recommending particular drones for purchase, we paid attention to which ones were recommended over and over again by experts who tested them, and why they liked them. We also listened to nephew Ranji's heartfelt opinions; he has owned several drones in different price ranges. He also helped to write and edit this Drone Section. In other words, we did all the mind-numbing research, sifted through all the hype, listened to the experts, and put together what we feel is the best introduction to hobby UAVs on the 'net. Due to amazing advances in electronics miniaturization, drone prices have dropped dramatically. As a result, the market has been glutted with more and more manufacturers offering their own models for sale. That's where we come in... we wrote this page, Drones 101, just for you. And maybe we can help. Buying the right drone is all about what you want to use it for. To keep things simple, we are excluding professional uses, racing drones and the "dark side". 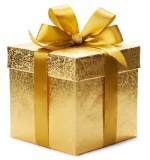 A gift for a child. Best drones for a young child, under 10 yrs. Best drones for older child/teen- 10-18 yrs. A beginner drone so you can get your feet wet. 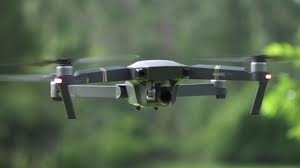 Best training drone for adults. Casual hobby drone: have fun flying around the hood and get some decent video. Best drone using FPV goggles. Coolest robot drone out there. For high-quality aerial video drones well under $1K. Read up on Specs and Factors to Consider and drone recommendations here: Drone Buying Guide. Learn how to fly, and read up on UAV laws here: Drone Flying Guide. Check out other Remote Control Hobbies here. P.S. 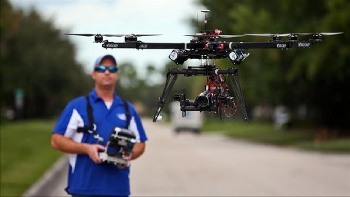 : The header picture on every page of our website features a man piloting his drone with FPV goggles! Just look up!